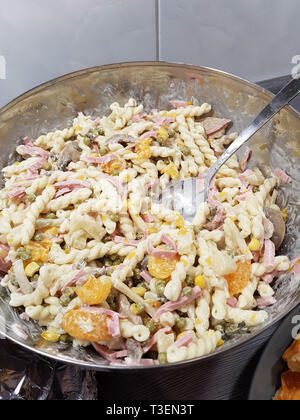 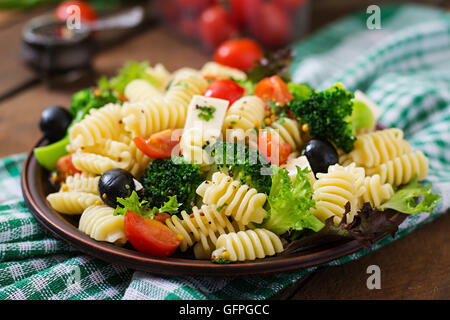 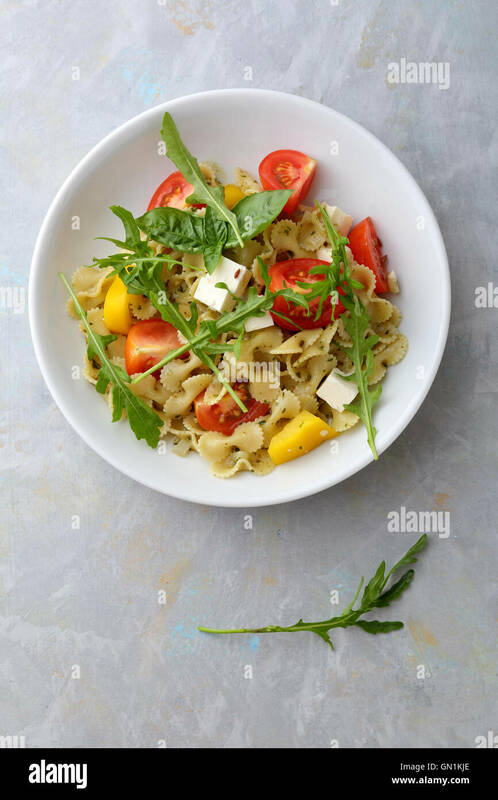 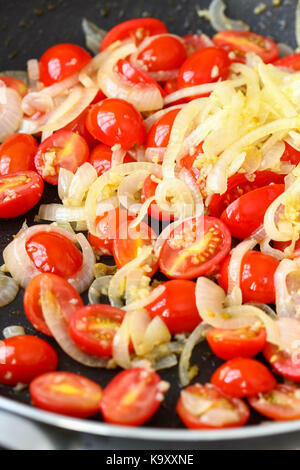 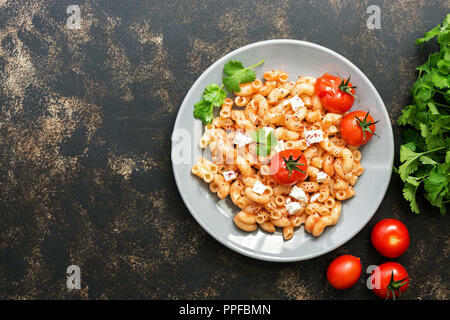 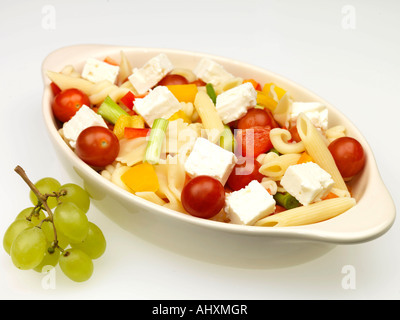 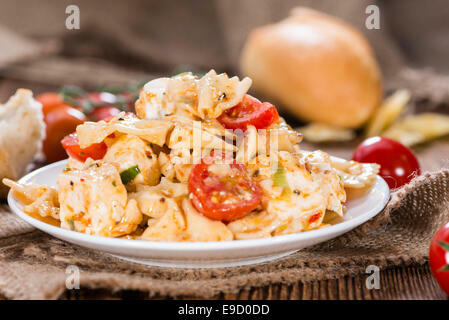 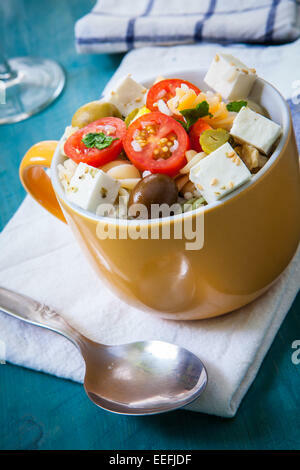 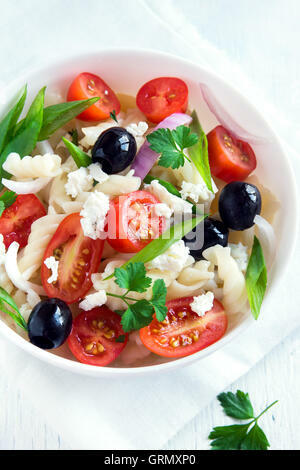 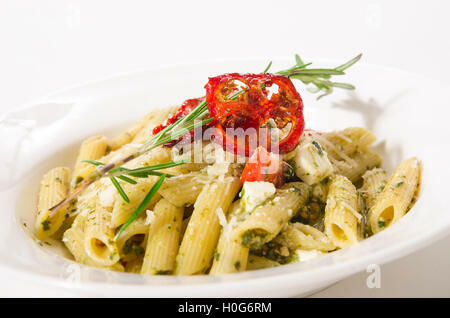 Pasta with sauce, feta cheese and baked tomatoes on a dark background. 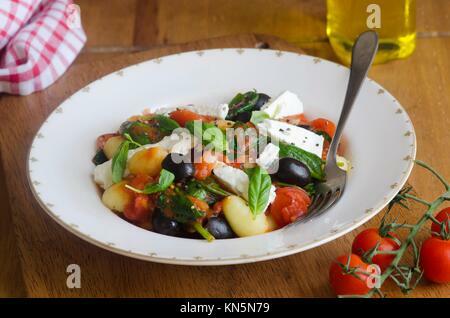 Gnocchi with feta, black olives and cherry tomatoes topped with basil. 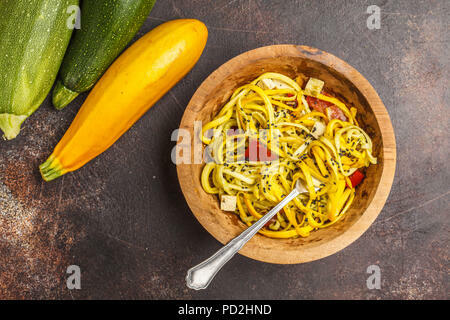 Raw vegan zucchini noodles with tofu and tomatoes in a wooden bowl. 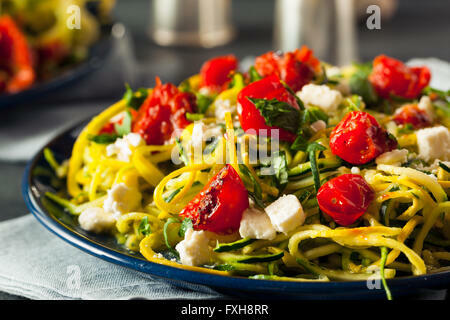 Healthy raw vegan food concept.